Stock status is current as of 4/22/2019 7:03 AMET. 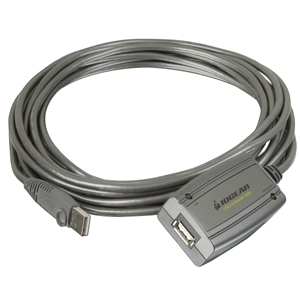 IOGEAR's premium USB Active Extension Booster Cables support USB 2.0 transmission up to 75 feet away (with purchase of additional Booster cables together). These cables are compliant with USB 2.0 standards, and compatible with both Mac and PC.